The Arthritis Society is one of our charities, and at the time of this writing we have several donations in the works for them. As you set to Spring cleaning, in addition to cleaning out the closets you may need to tackle the garage? Consider the Arthritis Society in that clean sweep! 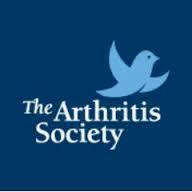 The Arthritis Society has been setting lives in motion for over 65 years. They provide education, programs and support to the over 4.6 million Canadians living with arthritis. Founded in 1948, TAS is the largest non-government funder of arthritis research in Canada. They have invested over $195 million in projects, leading to breakthroughs in the diagnosis, treatment, and care of people with arthritis. The Walk to Fight Arthritis is The Society’s marquee fundraising event. The Walk unites those who feel the emotional and physical pain of arthritis in communities across the country. The 8th annual Walk is happening in 30 communities across Canada on Sunday, June 4, 2017. Join in! Help fund a cure and improve the lives of those living with arthritis! JIA causes inflammation in the joints and impacts kids’ and teens’ physical, emotional and social wellbeing. So, in an effort to help teens with JIA better manage their arthritis and improve their transition to adult health care, a team of researchers developed an online program called ‘Teens Taking Charge: Managing JIA Online Program.’ It is now publicly available on aboutkidshealth.ca. What does this online program provide teens? This interactive internet-based program was designed for teens with JIA as well as for their parents. The content is delivered in 12 modules, and it was developed by health care professionals across Canada. As a result, it is a reliable, easily accessible resource to be used throughout the course of illness. In addition, it includes information about JIA, treatments, and self-management strategies (for example, how to deal with physical symptoms like pain, stiffness, fatigue and emotional symptoms like anxiety and depression). Peer support is facilitated through discussion boards. Furthermore, there are videos featuring patients, their families, and health-care providers offering instruction, personal insight and inspiration. Although Arthritis affects movement and the ability to function through the day, patients are vital, vibrant, and strong. So, with one eye to their ongoing health concerns, their contributions to their families and communities are a sure thing! In Rheumatoid Arthritis in Full Color, artist Regis White notes, “To me, creating amounts to expressing what’s in your heart, without any limits or judgments, and regardless of talent, passions or aspirations. After all, we were all born artists!” Despite a diagnosis at 25 years of age, Mr. White has produced over 500 works of abstract art. The Arthritis Society website is a great source for more detailed, engaging, and creative ways to learn about Arthritis. Furthermore, you’ll see unique and energetic ways to contribute to the cause and the cure, so check it out! Maybe your best way to contribute today is through a car donation! We can help by taking care of your vehicle, and it’s as easy as 1-2-3. We’ll get your vehicle picked-up (for free) and have the net proceeds from its sale sent off to the Arthritis Society!